Hailing from North Lake Tahoe, Calif., Americana band Dead Winter Carpenters has built a reputation for pouring their heart and soul into each performance. In just a few years, they have positioned themselves, wrote Portland Metronome, “at the forefront of a youthful generation trying to redefine what string music is and what it can do.” That progressive nature comes through loud and clear – from instruments plugged and unplugged – in the band's new release, Washoe (February 26, 2016). The band's fourth studio project, the 12-song collection of originals was recorded in Reno's Sierra Sonics Studio (Ozzy Ozbourne, Eminem, Dr. Dre, Collective Soul) and co-produced by Dead Winter Carpenters and Zachary Girdis. The band's previous albums include the group's 2010 self-titled debut, Ain't It Strange (2012), and the much-acclaimed Dirt Nap (2014), of which CMT Edge wrote, “With one listen to Dead Winter Carpenters' ‘Easy Sleep,' you'll get a strong sense of where this California band is coming from.” Reminiscent of genre-benders like Jack White, Chris Thile, and Sam Bush, Dead Winter Carpenters harmoniously blends refined musical ability with a scarcely restrained tendency to let it all hang out. The result is a controlled burn, a riveting sound, and a connection with fans that sells out shows and has the band sharing stages with the likes of Jason Isbell, Greensky Bluegrass, and Hard Working Americans. Members include Jesse Dunn (acoustic and electric guitars, vocals), Jenni Charles (fiddle, vocals), Dave Lockhart (upright and electric bass, vocals), Bryan Daines (lead telecaster guitar, vocals), and Brian Huston (drums, vocals). 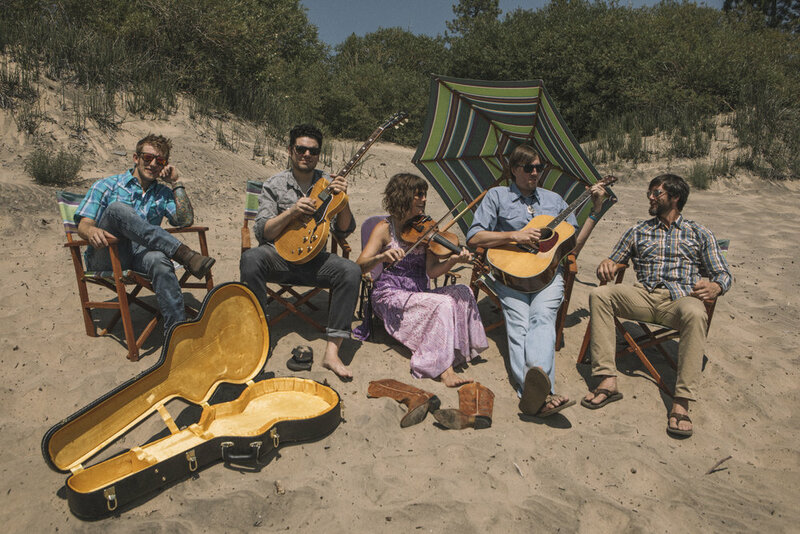 A steadily touring band since forming in 2010, Dead Winter Carpenters has entertained growing crowds at notable festivals including Harvest Music Festival (Ark. ), High Sierra Music Festival and Strawberry Music Festival (Cal. ), Del Fest (Md. ), Northwest String Summit (Ore.) and more. Dead Winter Carpenters is a band with the ambition, talent, and authenticity. Look for them to continue to delight – and invite – fans from many music camps.